In the last few decades, Indian tourism has seen a massive rise in its industry. And that’s obvious, as India is filled with tourist destinations throughout its mainland as well as the islands on both sides of it. And one of those many tourist destinations is the East Coast Region which is commonly known as ECR. 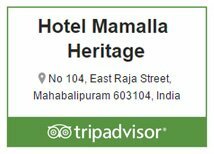 In most of the places, especially hotel rooms in Mahabalipuram,ECR the hotels have tight and specific timing for checking in and out. It so happens, depending on the timings of the train or plane, that some tourists reach earlier than the supposed time for checking in. For them, the hotels of ECR have enabled the path to check-in earlier than the expected time. What strikes most is that they don’t charge anything surplus for that. So, basically, you won’t have to wait for long periods of time if you reach there ahead of the expected time. This is beneficial for many of the tourist groups where old people and young children are present. Now, this doesn’t require any sort of explanation. A hotel, right from the past century has become an essential aspect in big hotels. With the turn of the century, the influence of lift has increased for which the usage of lift is not only confined to the likes of big hotels and 5-star accommodation houses. These days, even the low-budget hotels also have prepared themselves with the lift for the convenience of the tourists and sometimes, for themselves too. It is better to ensure that your hotel in ECR has the lift or else in today’s world, who climbs stairs with such heavy amount of luggage? Well, right from the age of 8 to 80, everyone loves to reside in a room equipped with air-conditioner. Nothing can beat the heavenly feeling of sleeping with the blanket on and the AC being set at a cozy temperature. And, a standard hotel room, especially in Mahabalipuram ECR, must consist of an AC, which has turned into an essential requirement in today’s world. Hygiene has been and must be always a person’s first priority. The primary aspect of a hygienic hotel room must be the availability of clean and dry towels with not even a speckle of dirt being present on it. When a room is being speculated, it is important for you, the tourists, to make sure that clean towels are available at your bathroom. If not, ask the hotel boy to provide you with dry towels. It’s a necessity, not any sort of luxury you are asking for. Complimentary breakfast is always welcome, but lunch and dinner require the special bit of attention. It is better if your hotel in ECR provides you with an on-site restaurant so that you can choose your own set of cuisine to eat from and savor the real taste of the food instead of having it inside your room. Food is one of the best things present in ECR, ignoring it will compel you to regret later.